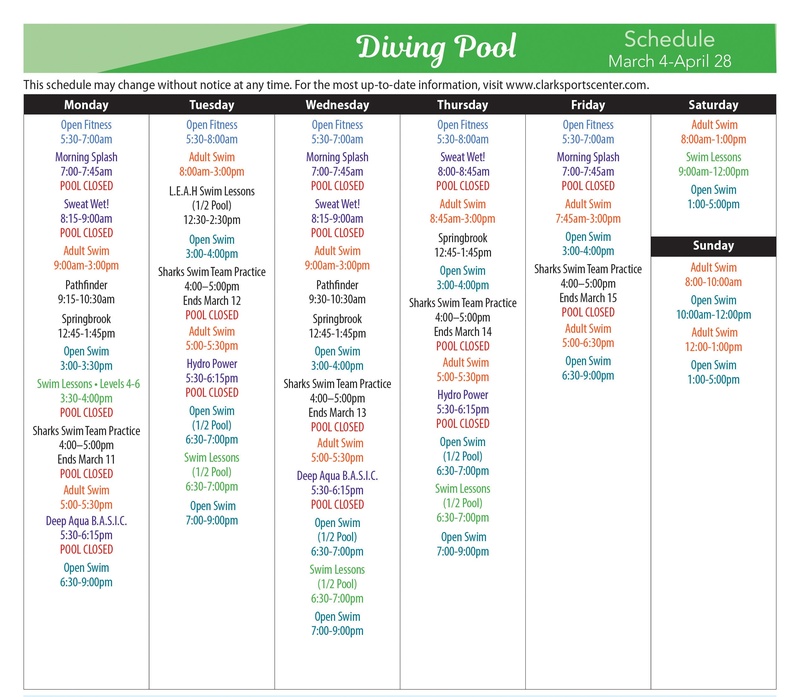 Visit the Group Fitness Class Descriptions page for Aqua Fitness class descriptions. There will be 2nd Grade Swim Lessons on the following dates from 1:30-2:00pm. The Lap Pool will be shared during this time. Dates are subject to change with CCS snow days.